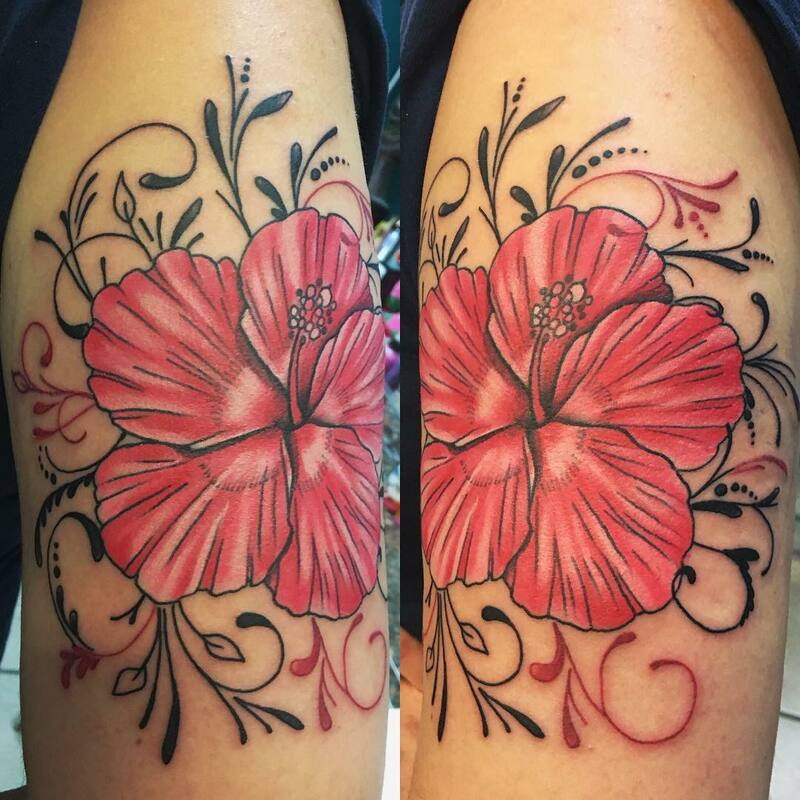 Hibiscus comes under the category of large flowers. 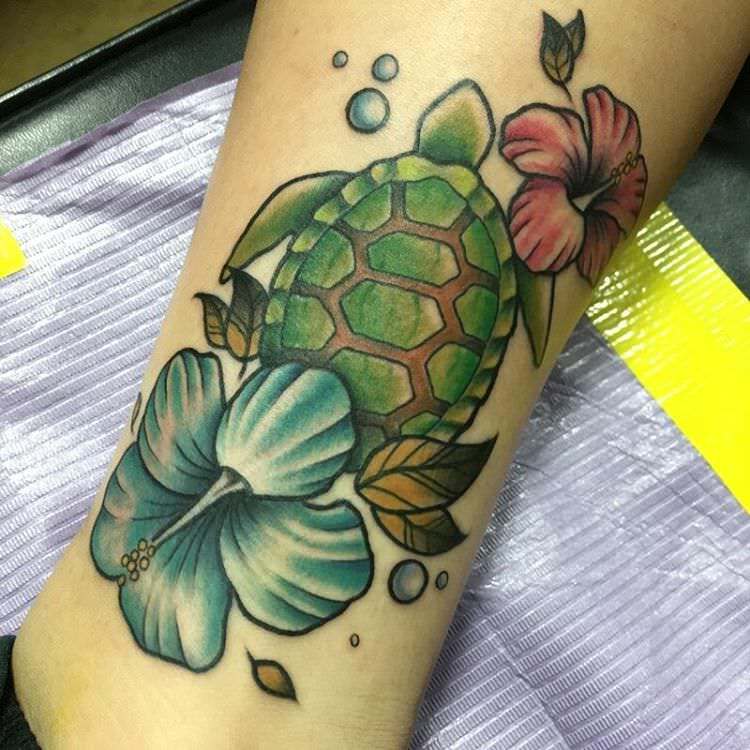 These grow in the tropical parts of the world. 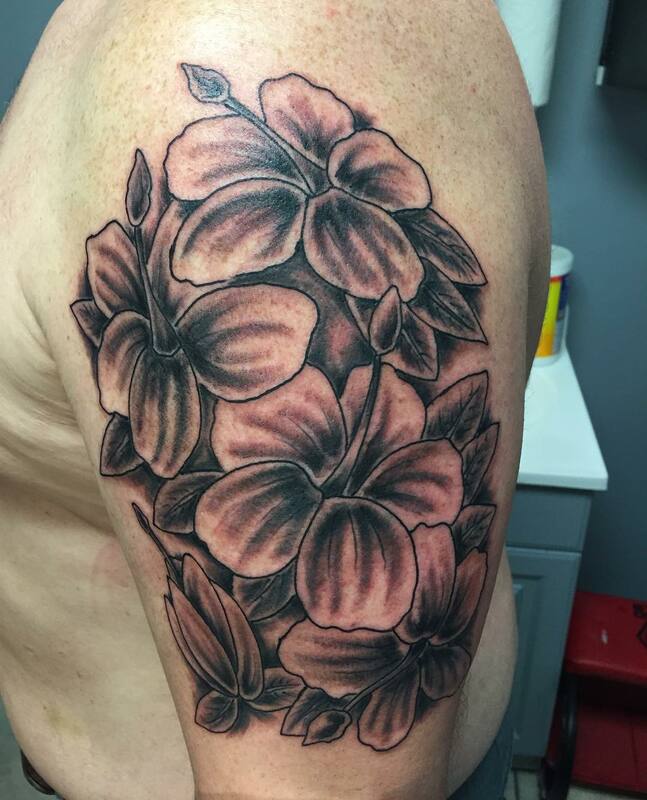 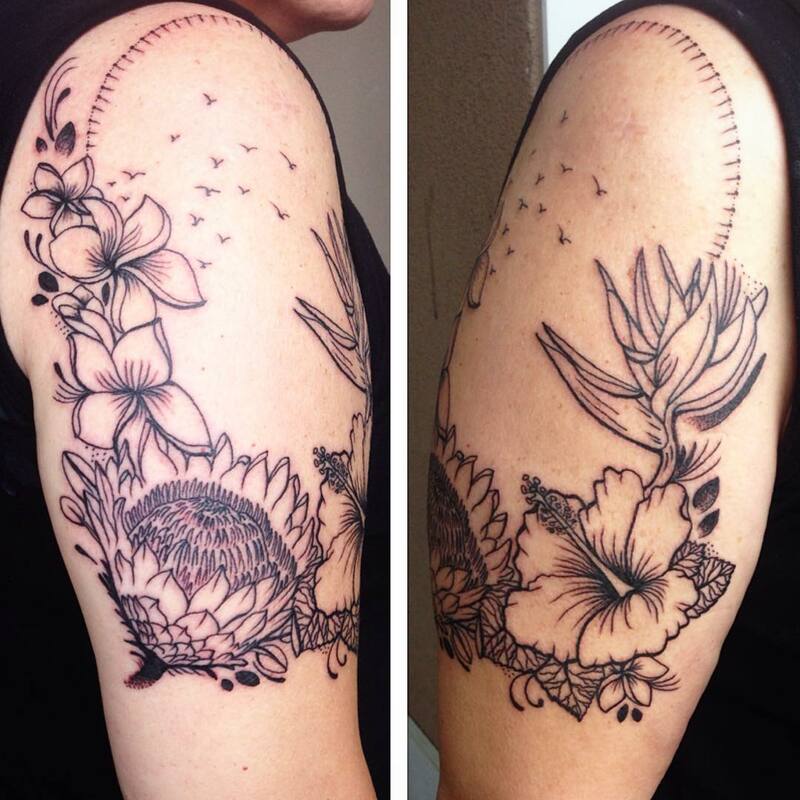 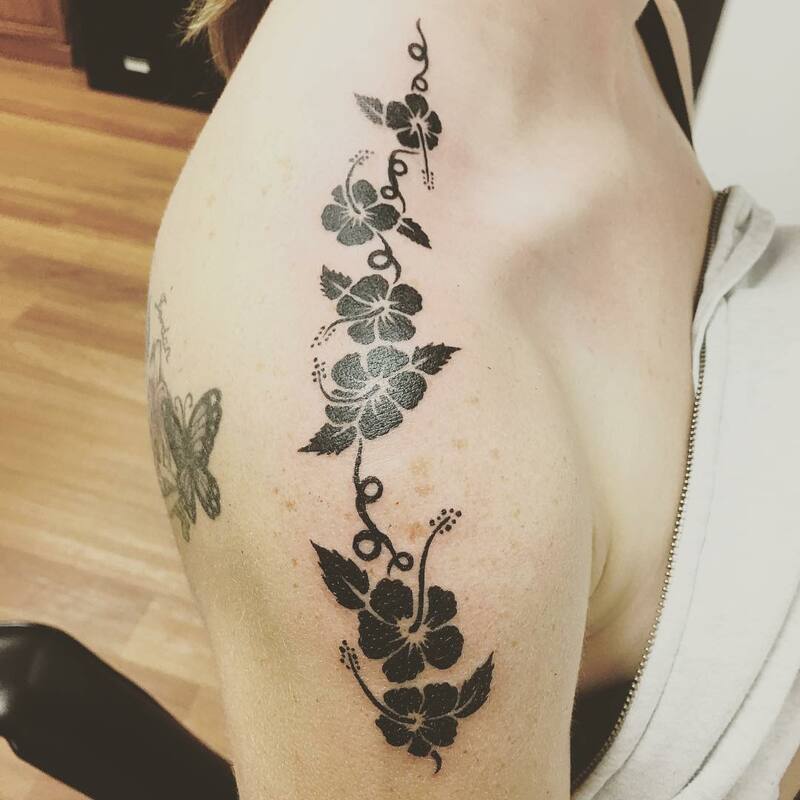 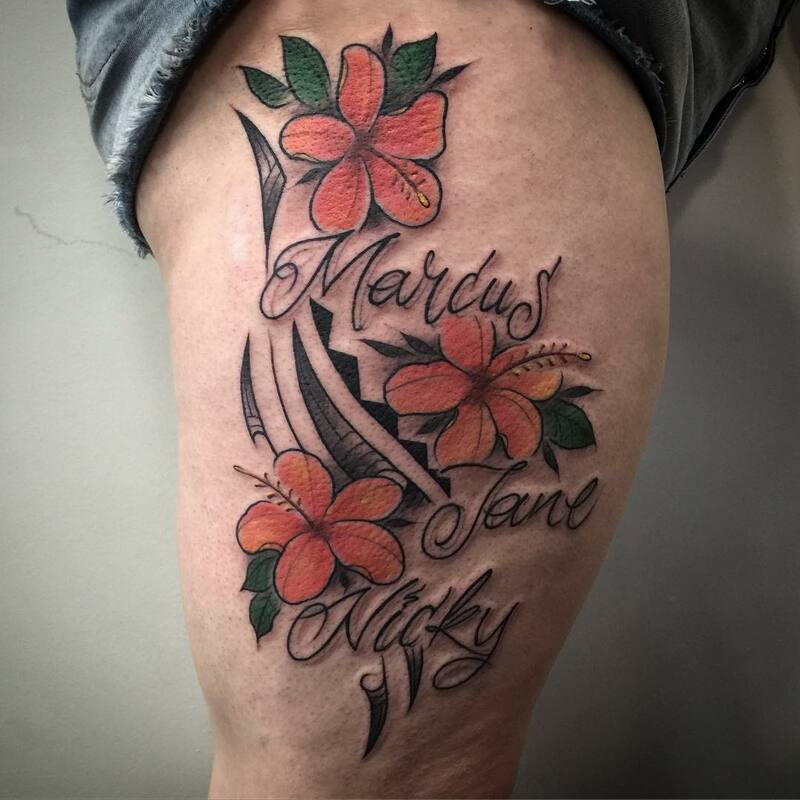 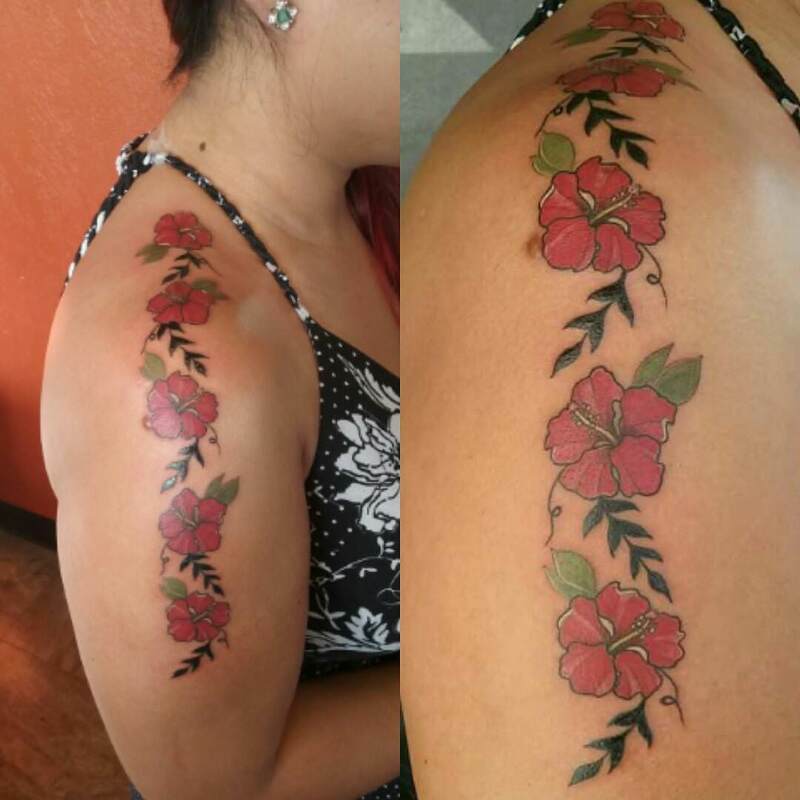 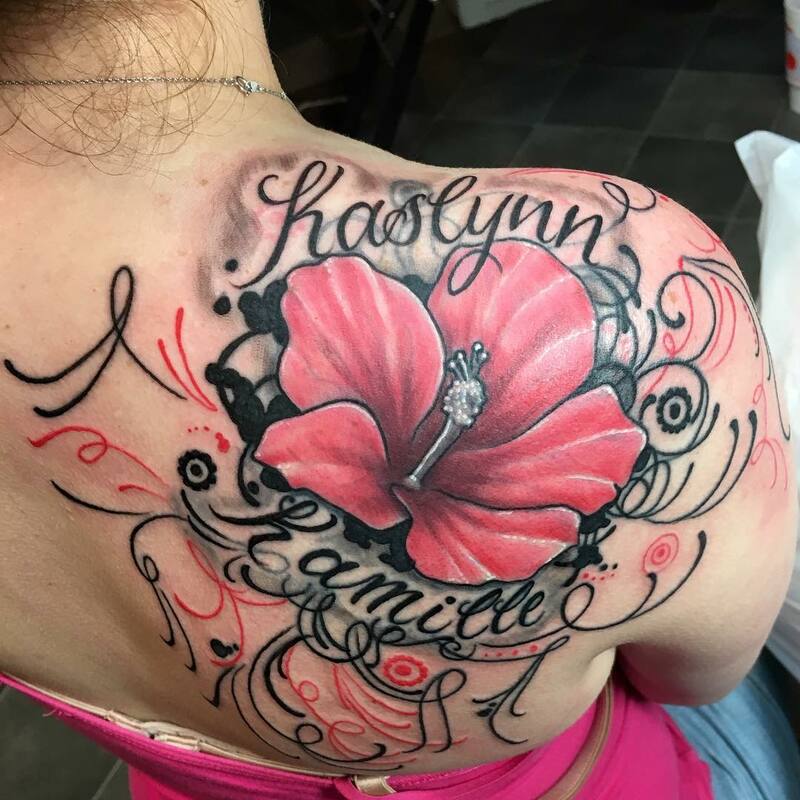 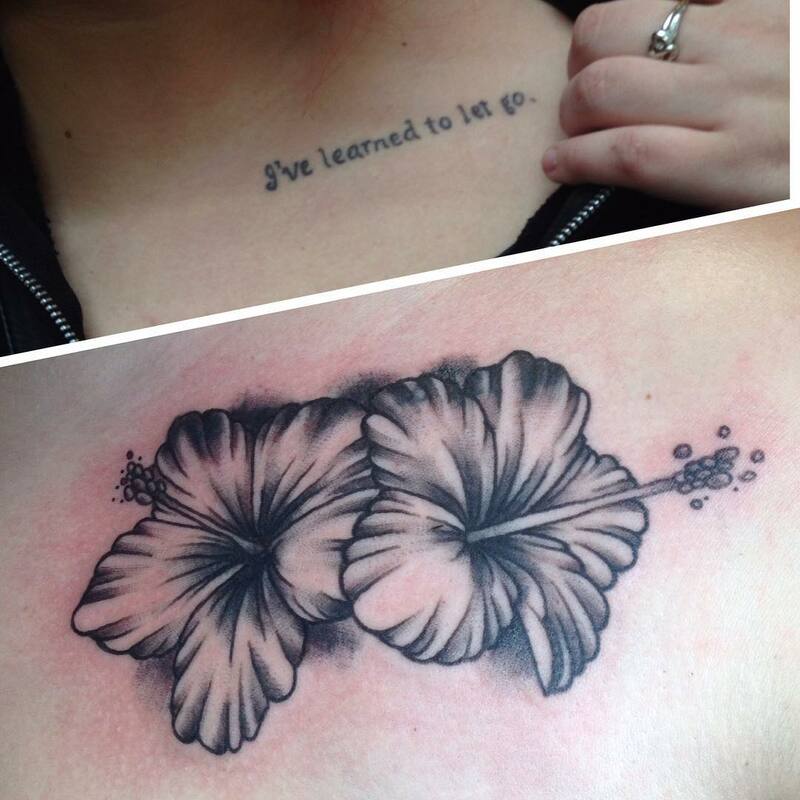 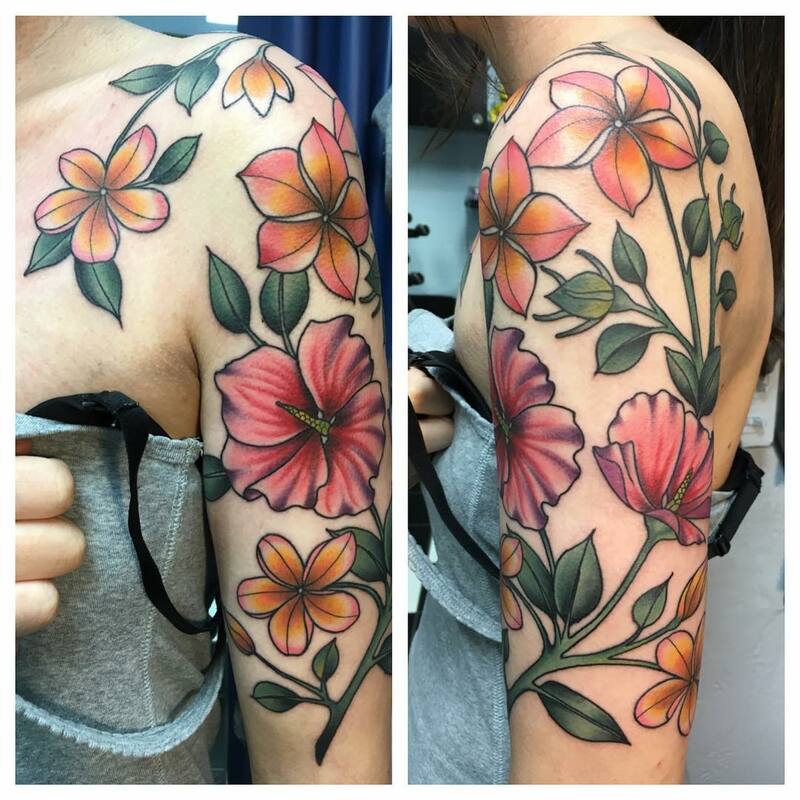 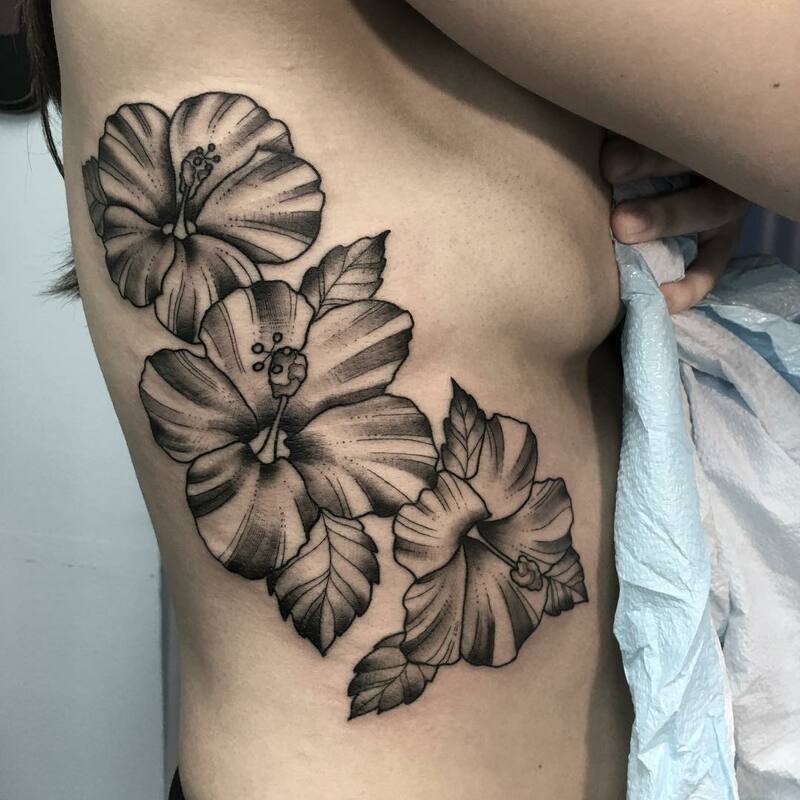 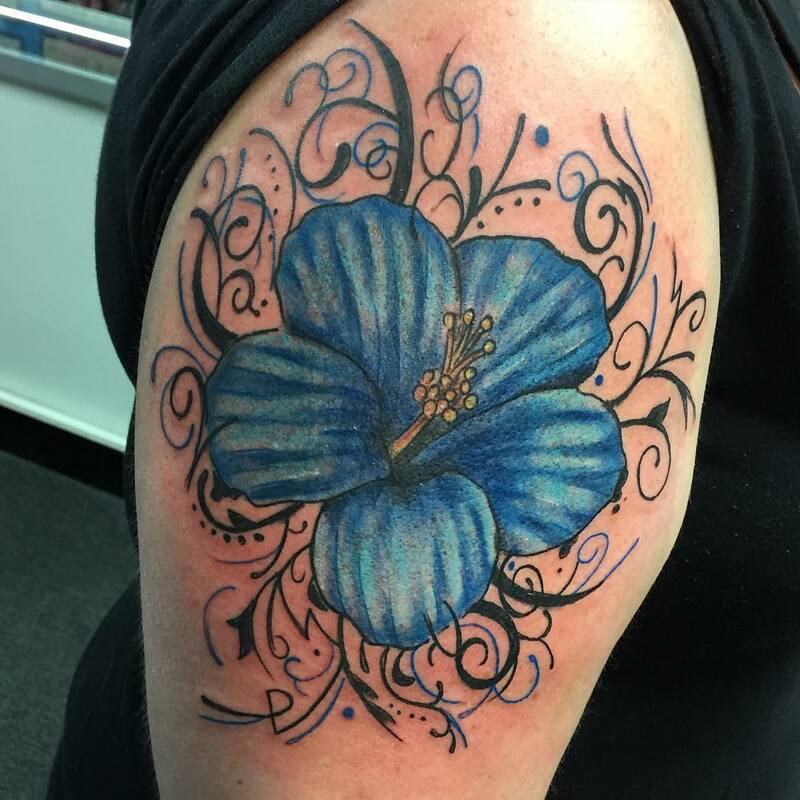 Hibiscus has recently gained a lot of popularity among women for tattoo ideas. 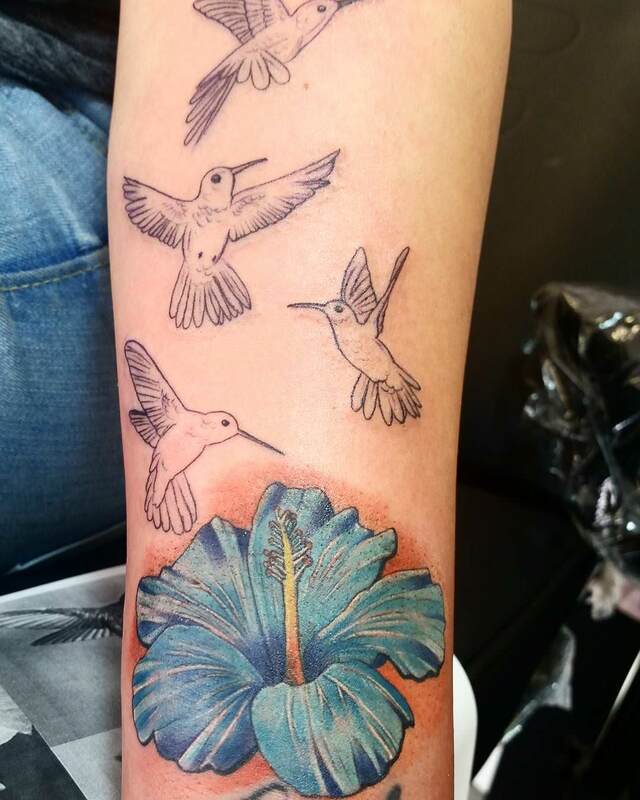 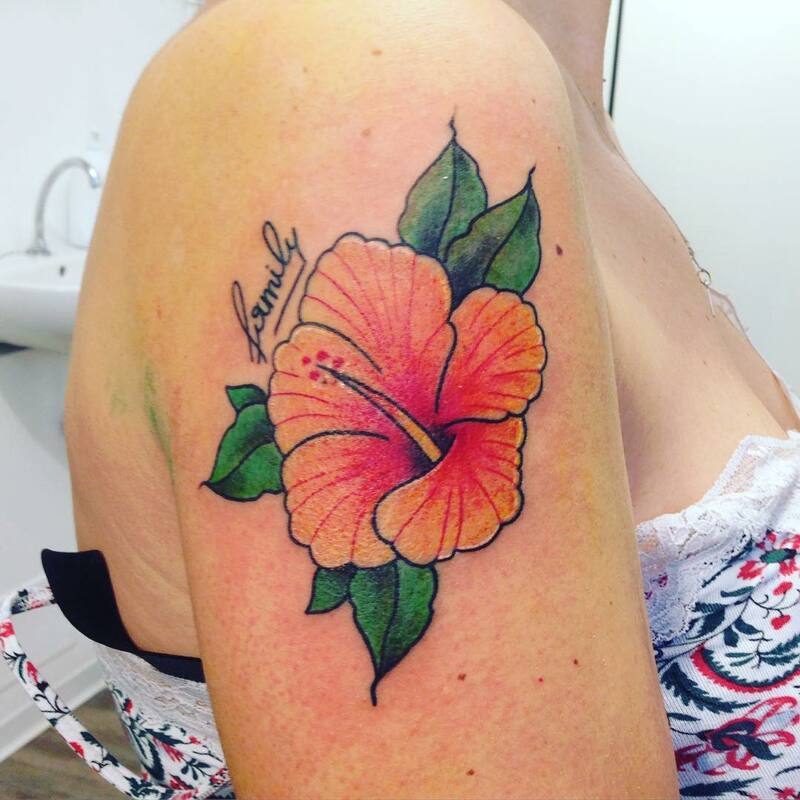 Hibiscus tattoos come in various different wonderful colours. 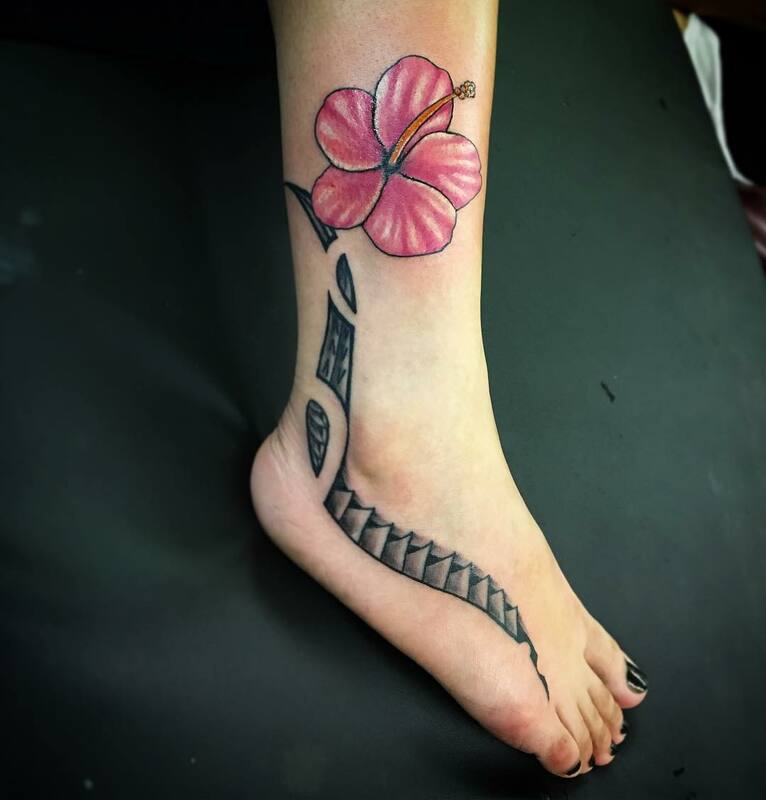 Not only that, it also holds special meaning to different people belonging to different regions and parts of the world. 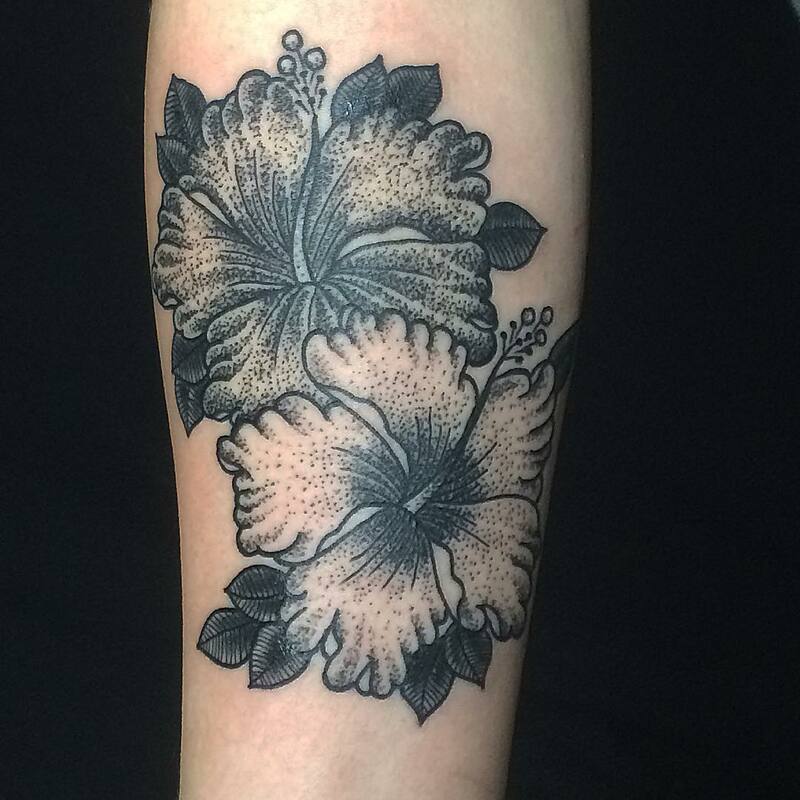 In Japan, Hibiscus is also called as ‘Hanakotoba’. 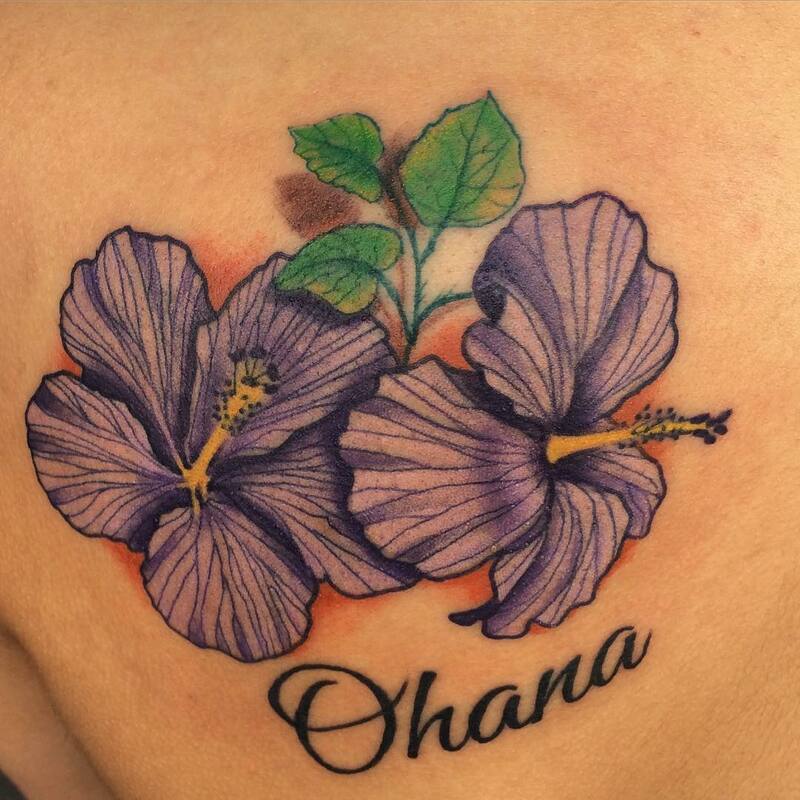 It means “gentle”. 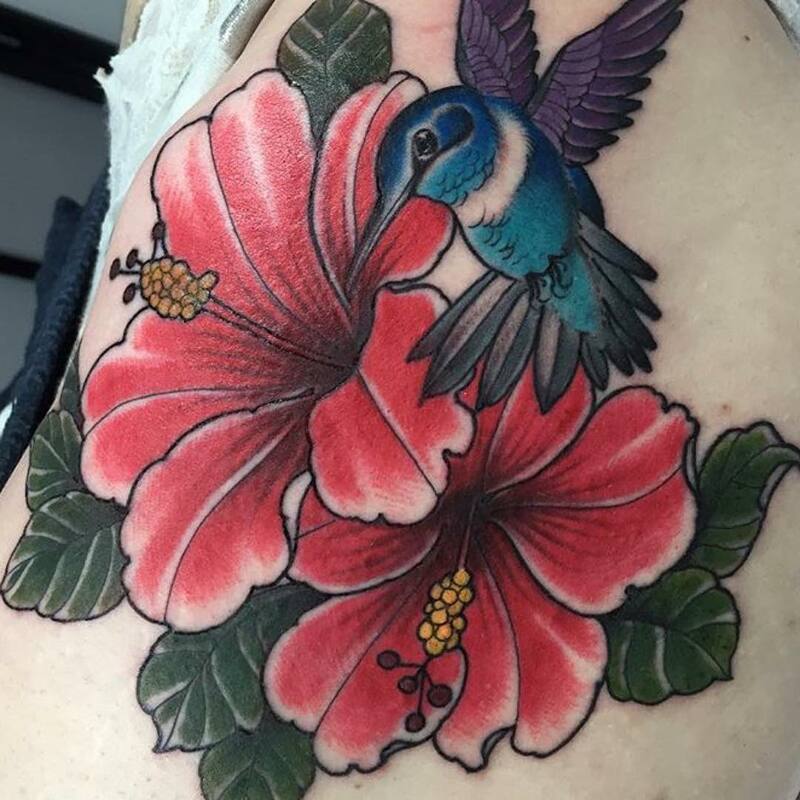 Hibiscus is also a popular flower in China and is known as ‘China Rose’. 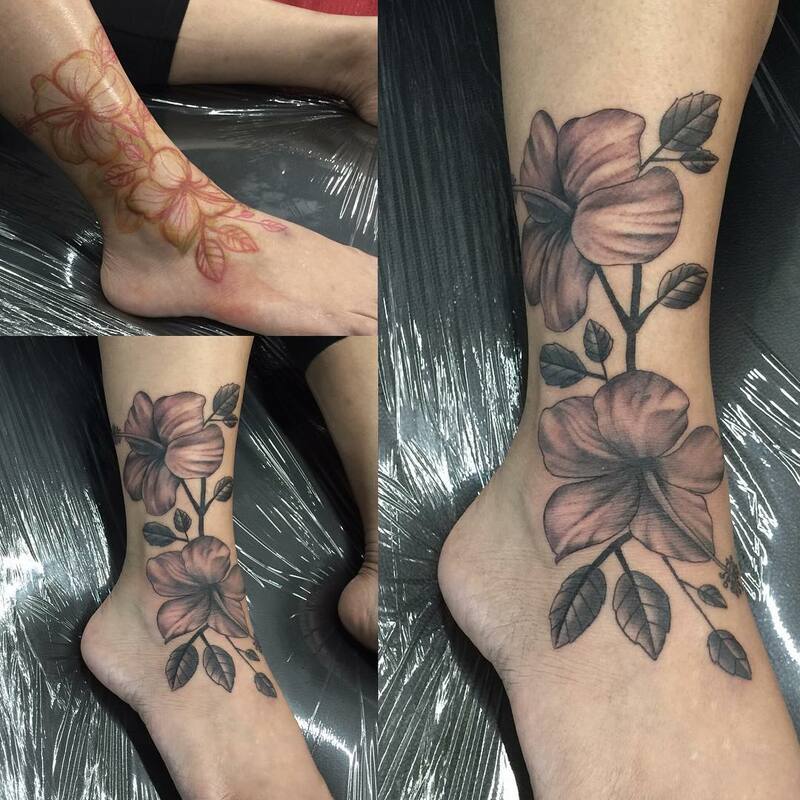 In China, it is a symbol of rich, fame, splendour and glory. 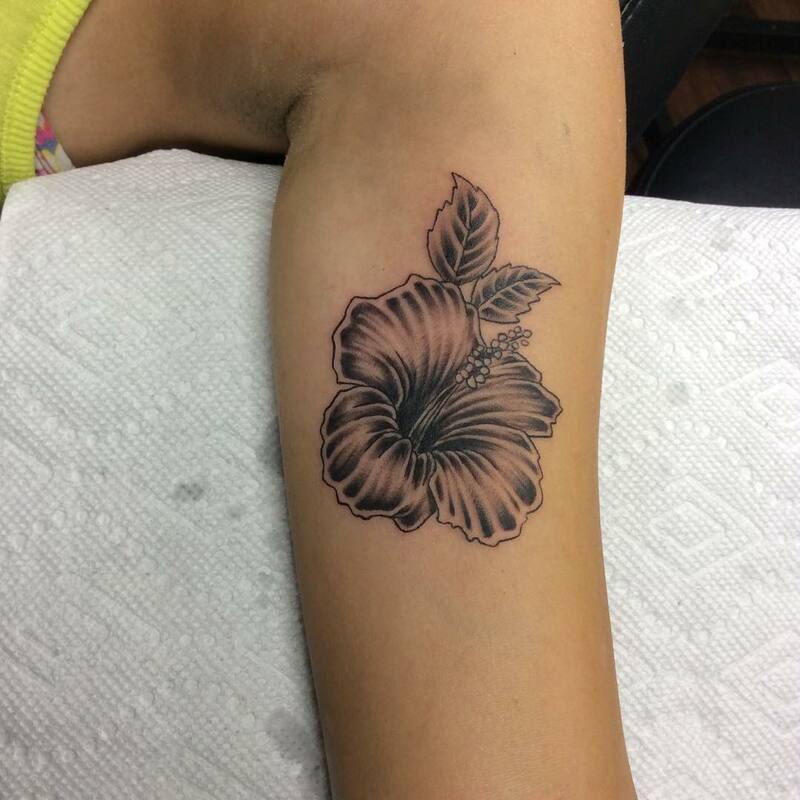 This flower is traditionally worn by Hawaiian and Tahitian girls. 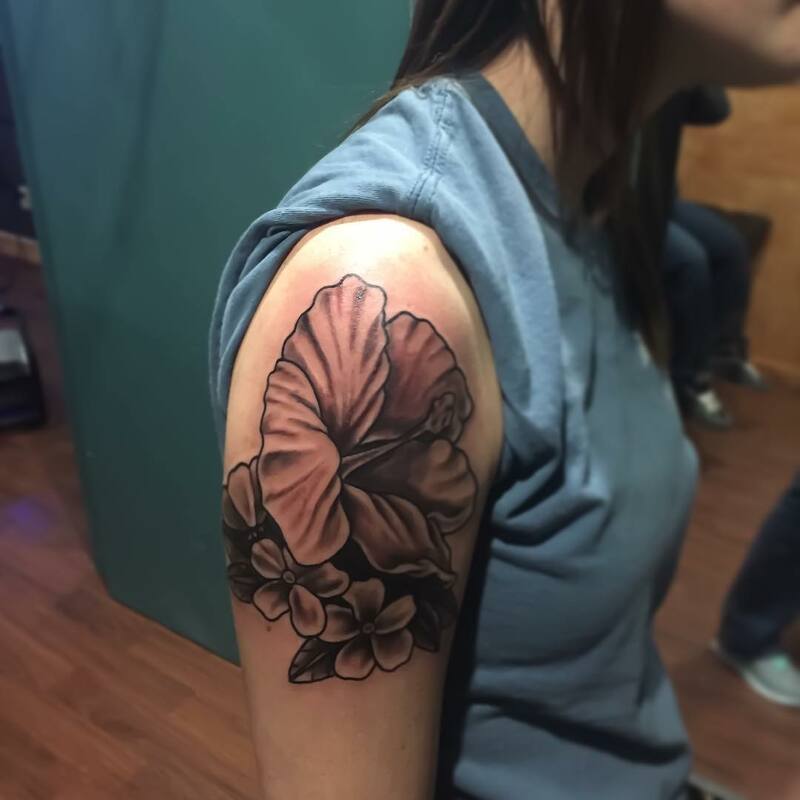 If you see a girl or a woman with this flower behind her left ear, it means that the woman is married or she is in a relationship. 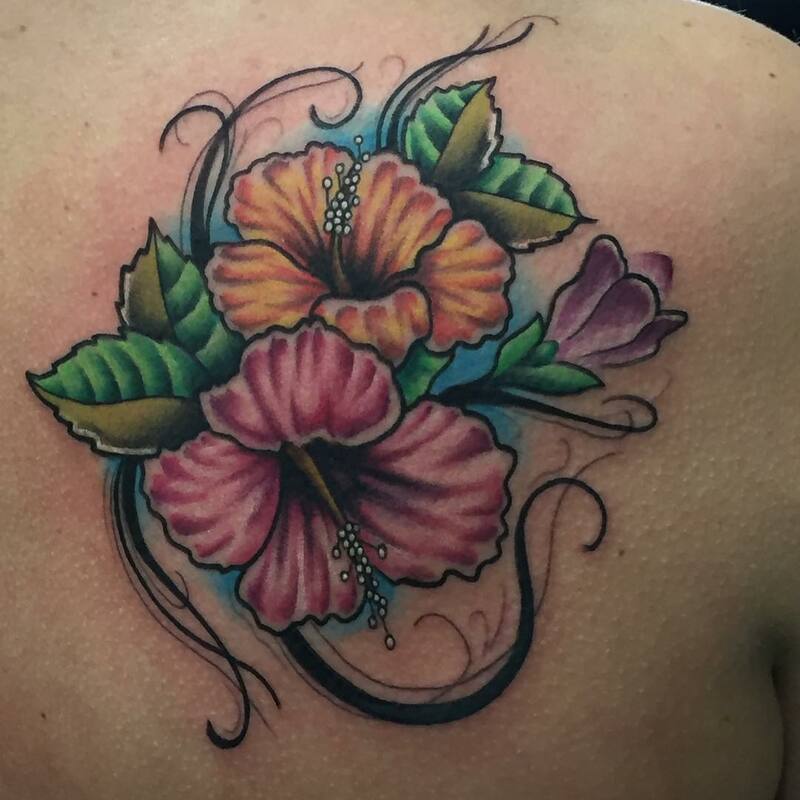 On the other hand, if you see the flower on the right ear, it means that the girl is single and is ready to mingle. 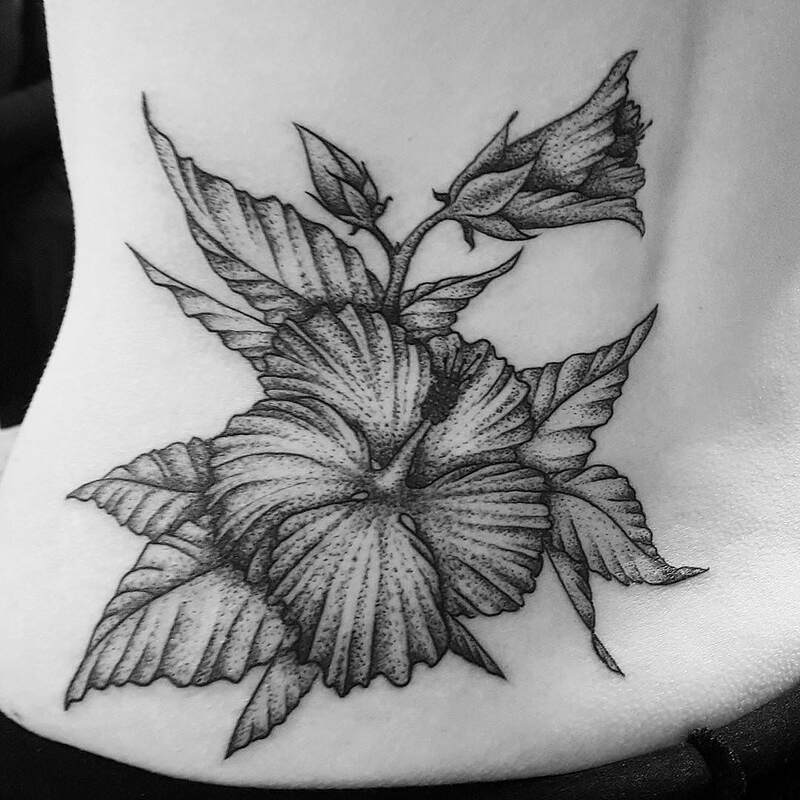 Not only is Hibiscus an ornament or a design, it is also used as an ingredient in teas all around the world. 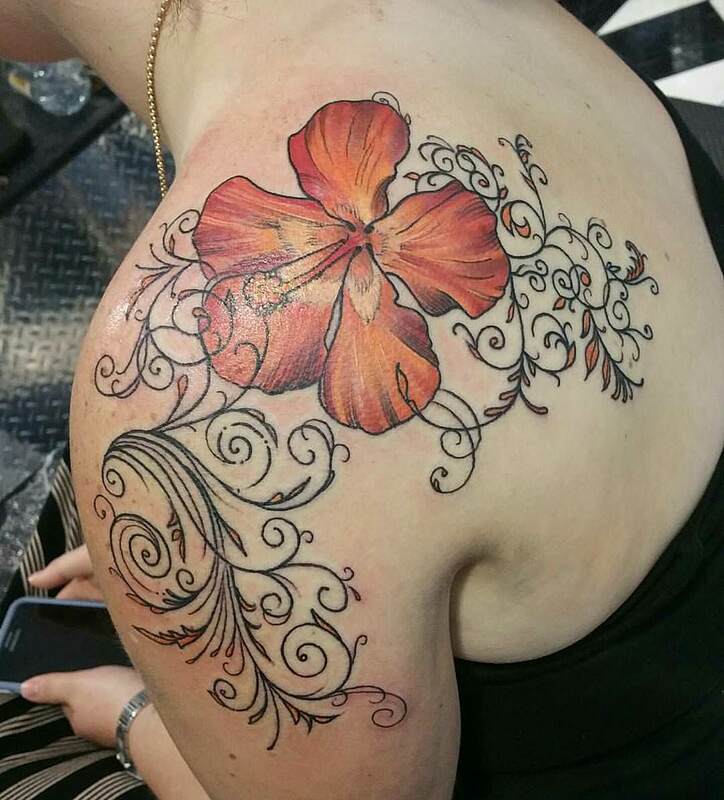 Mostly, the Hibiscus tattoos are bigger in size because of the nature of this flower. 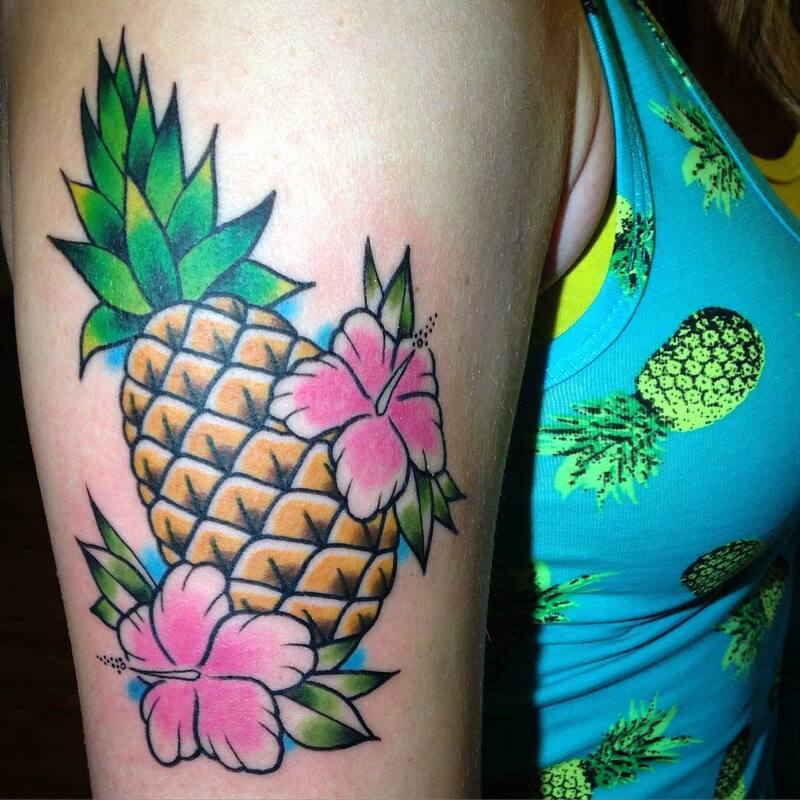 These are usually inked on the shoulders, back or the sleeves.